← Day 1 – It all begins! Our first morning on the road. Breakfast was ready by 7:00 am. By 7:30 I had filled up on porridge, French Toast, fruit, coffee and had made my peanut butter and jam sandwiches for the road. Time to get under way. 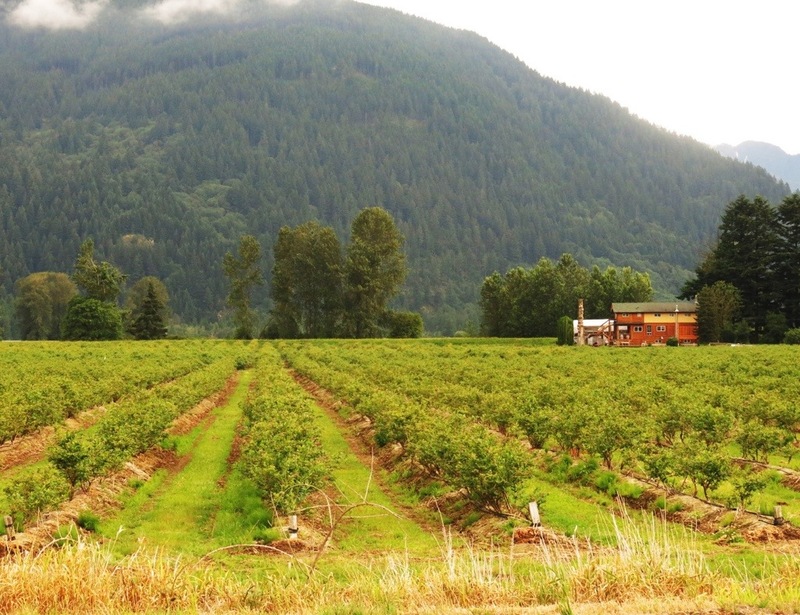 It was a bit cool and cloudy as we left, pedalling through the farmlands of the Fraser Valley. Soon we were starting to climb as we got closer to the mountains. 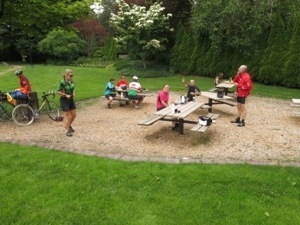 Our lunch stop was in a beautiful little park in Agassiz. Naturally PB&J sandwiches were on the menu. I spent most of the morning and early afternoon riding with Myra from Toronto, Jacquie from Winnipeg, Louise from Scotland and Eric from California. 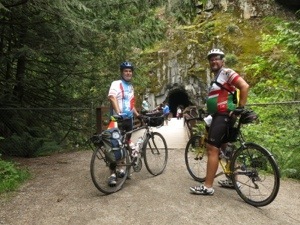 By later in the afternoon we had separated into two smaller groups with just Eric and me riding together. After passing through Hope the final part of our ride was on the Kettle River Trail, an old railway bed with several tunnels at the end. 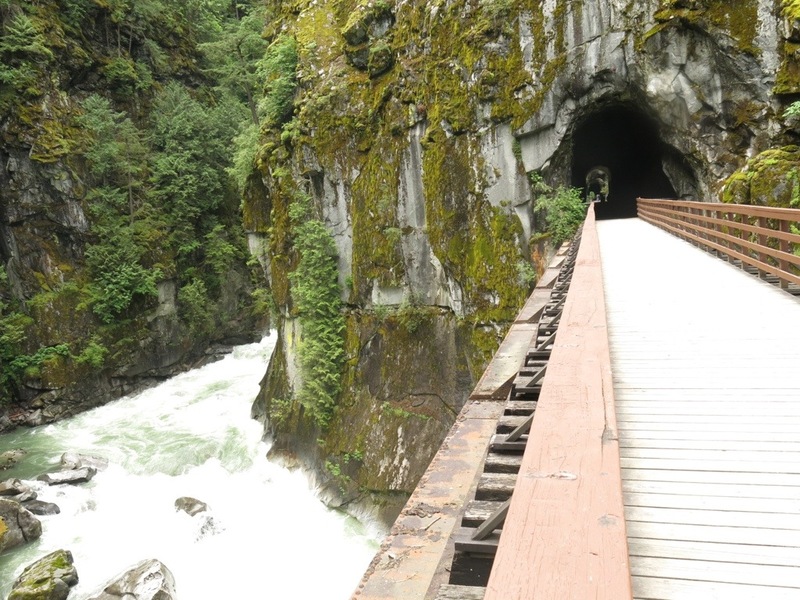 The tunnels and the scenery around them was spectacular. Dinner tonight was vegetarian Shepherds Pie followed by strawberry shortcake. The strawberries were nice and fresh. Two nights on the road and two very tasty dinners! Glad to hear that the weather is cooperating. Good luck in the mountains. Hopefully the wind is at your back and your legs feel fresh up those long stretches. Just think how cool the beer will taste at the end of the day. Thanks for the posts. Very much enjoying reading them and thinking about completing a similar adventure in a couple of years. Thanks Paul. I’m really enjoying the tour so far!